H-B Instruments DURAC Bimetallic dial thermometer has a 3"/75mm dial diameter with readings in both Fahrenheit and Celsius, for use in industrial applications and pipe lines. 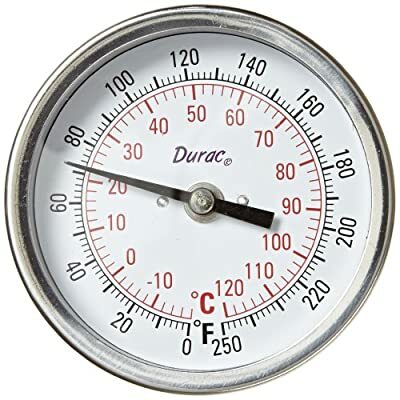 The thermometer has a 1/2" NPT threaded connection for use in industrial installations and pipe lines. 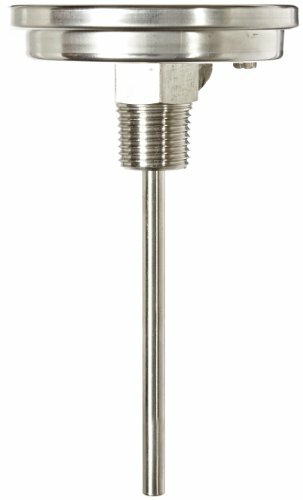 The thermometer is available with a choice of 2"/50mm stem length for use with liquids, or 4"/100mm stem length for use with liquids or gases. The stainless steel case and stem provide durability and the polycarbonate lens has an external adjustment feature that eases field calibration. Includes statement of Test and Calibration. 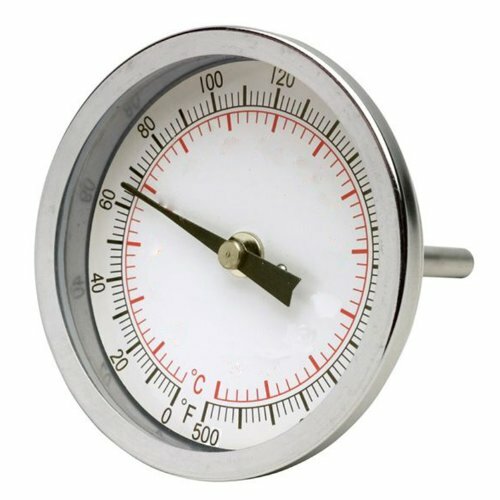 H-B Instrument Company manufactures power controls, and time, temperature, density, and weather-related instruments. Founded in 1903, H-B Instrument Company is a division of Bel-Art Products, and is headquartered in Collegeville, PA.